Breathing new life into luxury. The world-class wheelbase. The prestige distance. The sweeping shoulder line. All are characteristic features of a premium rear-wheel sedan. 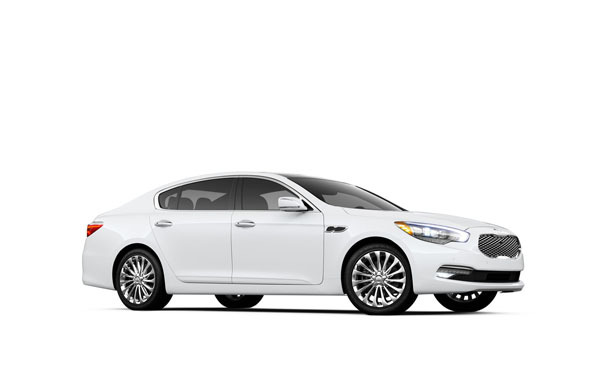 But it's the way the Kia Design Team blended those features that gives the K900 its athletic bearing and confident stance. 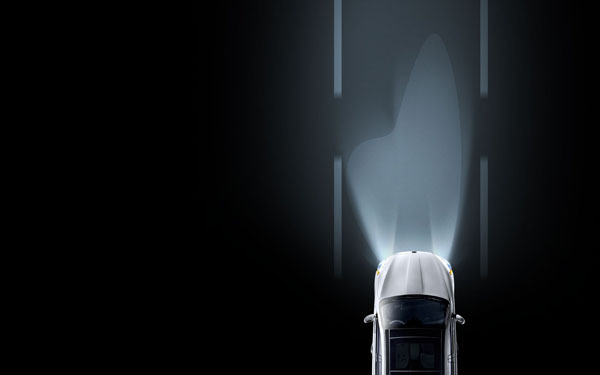 The full LED headlights illuminate the road directly ahead. 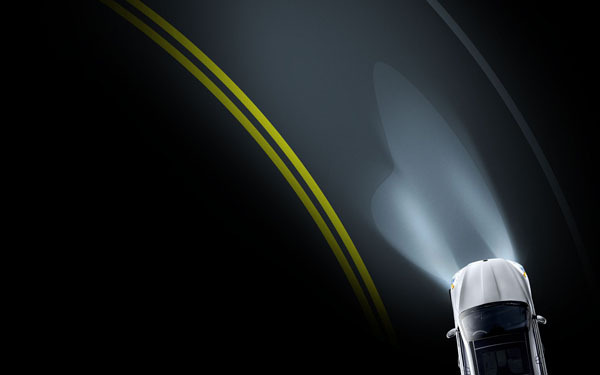 The Dynamic Bending Light adjusts as your steering angle changes, helping you take corners with more confidence. The high beltline conveys its strength. The smooth character line, extending from the front grille across the doors, highlights its elegance. The K900's sleek silhouette is graceful but contains an underlying tension—seemingly in motion even when still. The K900's engine is mounted further back—allowing the cabin to be pushed further back. This increases the "prestige distance," the space between the cabin and front wheel. The result is a blend of proportions both commanding and evocative. To get away from it all, you only need to get inside. The K900's spacious interior provides abundant comforts—ranging from available heated and ventilated front and rear seats to available power-reclining rear seats with Air Cell Lumbar Support. It's the luxury car that delivers a quiet cabin and a smooth overall ride. Featuring a foam-padded cabin for exceptional insulation, a high-strength steel structure and a fully-independent front and rear suspension, the K900 silences the road. Details make the difference. 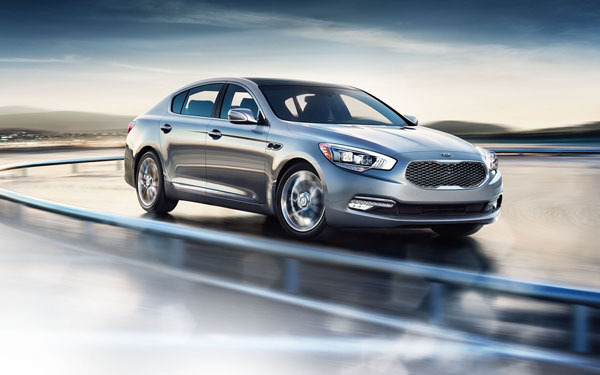 That's why we fitted the K900 with an available 16-way adjustable power driver's seat with power lumbar support, included a heated steering wheel, and laminated the windshield and side windows to help ensure the quietest cabin possible. The sophisticated interior is complemented by a distinctive focal point: an analog clock with automatic updating enabled by GPS technology. 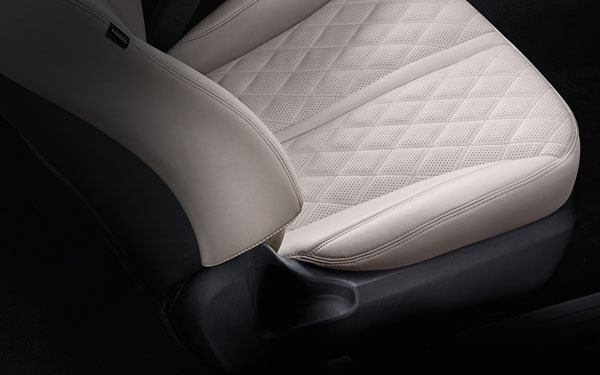 The seats are trimmed with contrast piped, premium Nappa Leather. This available full-grain leather is noted for its buttery softness and durability. Experience luxury that extends to every row of the cabin. Trimmed in soft Nappa leather, the available Power-Reclining Rear Seats recline at your whim. And Ventilated Rear Seats deliver a cushion of air for additional comfort you command. See luxury from a new perspective. The K900 arrives with standout features. 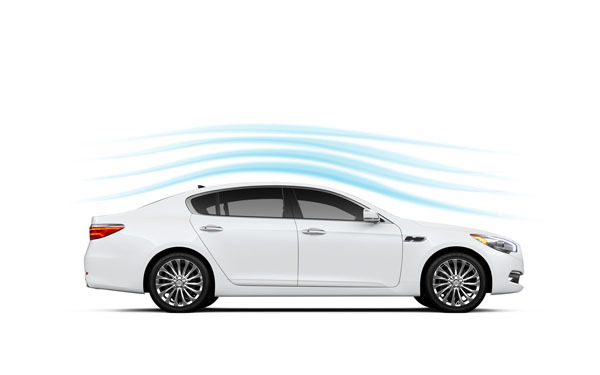 From the 17-speaker surround sound Lexicon® Logic 7 audio system created by GRAMMY® Award-winning Harman, to the Dynamic Parking Guide System, to the hydrophobic glass that helps repel water, the K900 is packed with innovations designed to enhance your driving experience. With the customizable Head-Up Display (HUD), the key driving information you need is discretely projected onto the windshield in the driver's line of sight. And the full color HUD automatically adjusts its brightness depending on conditions. 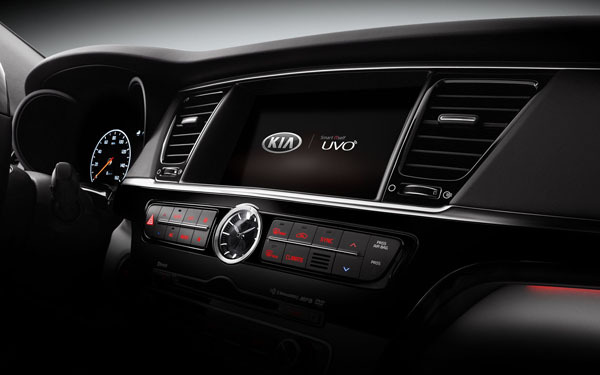 A bright 9.2" screen makes it easy to use UVO, our voice-activated infotainment and telematics system. 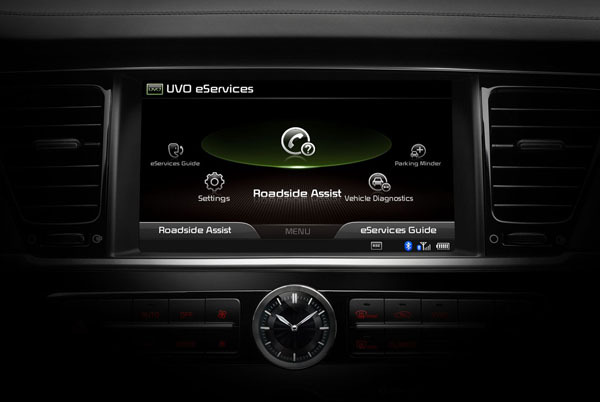 With the UVO app on your smartphone, you can enjoy enhanced navigation, diagnostics, and convenience features. And there are no subscription fees. Get 24/7 access to Kia's roadside assistance. And, with the UVO app on your compatible smartphone, you can even transmit location information in certain situations. 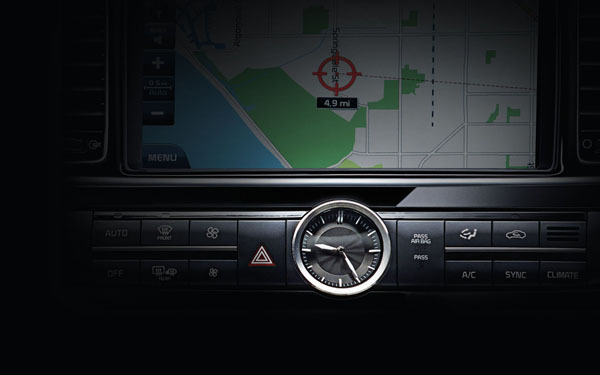 Turn-by-turn directions to your destination are only an intuitive voice command away. 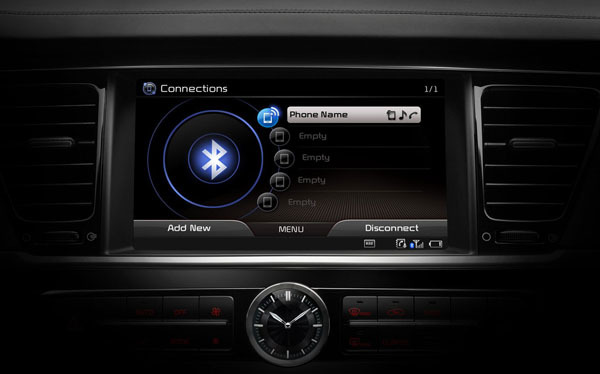 With a compatible smartphone, stream music, sync contacts, and talk on the phone by using UVO and connecting to your car's sound system. The available Surround View Monitor utilizes four externally mounted cameras to simultaneously provide real-time video of the K900's surroundings and show an all-around, bird's eye-like view on the 9.2" monitor. The available V8 Tau engine offers 420 horsepower. 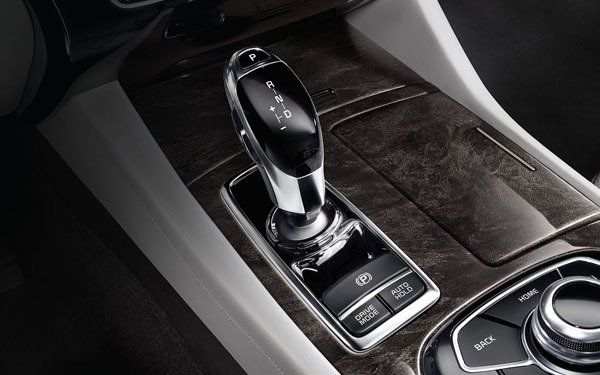 Couple that with an 8-speed, shift-by-wire automatic transmission and you'll experience rapid acceleration and fast, smooth shifting. 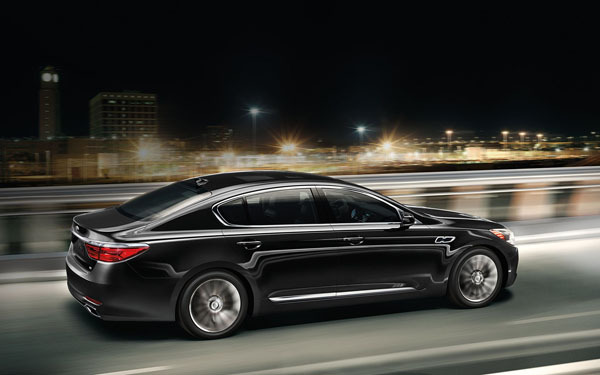 In short, the K900 offers a rewarding drive no matter where you travel. Available Blind-Spot Detection uses side mirror-mounted radar to help detect vehicles alongside and behind the K900. If a vehicle is detected, the system will emit a warning light and sound. 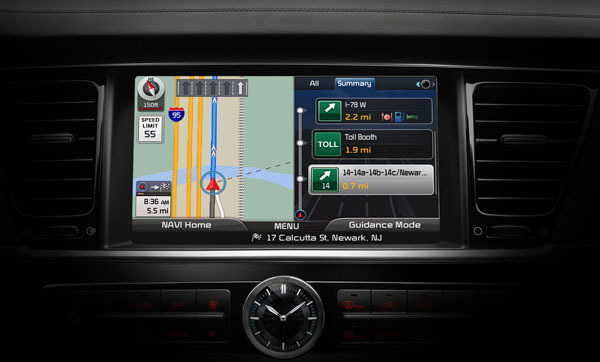 The Lane Departure Warning System uses a rear view mirror-mounted camera to read and help analyze the road ahead. If you happen to veer out of the lane without activating a turn signal, the system will alert you.